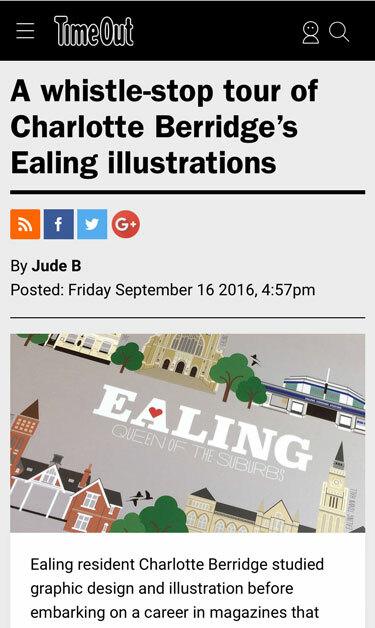 I'm an Ealing Designer and Illustrator. 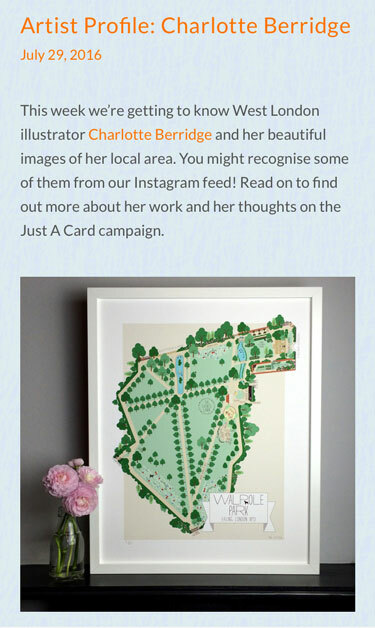 My name is Charlotte Berridge and I create local prints & illustrations inspired by West London. 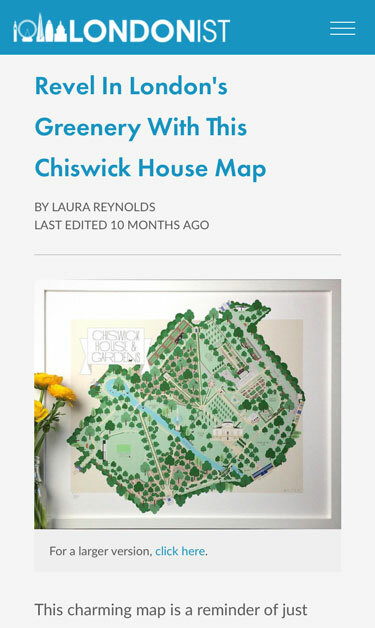 I launched my business in November 2015 starting with Ealing (my home) and have gradually expanded my designs across more areas of West London. My products make perfect gifts for anyone who knows, loves, or lives in Ealing, Chiswick, Richmond, Kew, Acton, Hanwell or Brentford. I have recently added a London Pubs Illustrated Alphabet to broaden my portfolio. 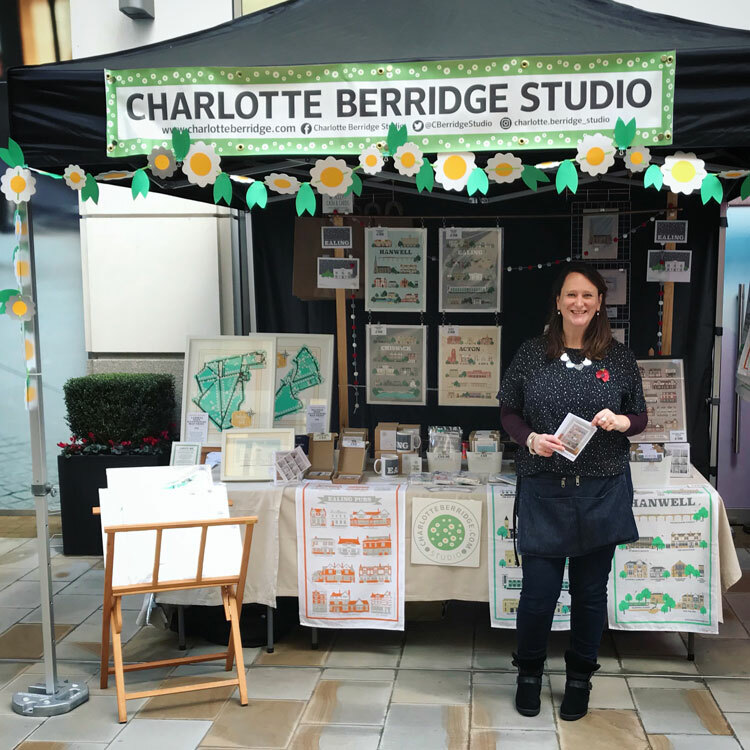 You'll find me & my stall at various markets (see my local events page for details) plus all my products are available in All Original (20 Ealing Green, Ealing W5 5DA) a fabulous independent gift shop in Ealing Town Centre. I have a BA(hons) in graphic design & illustration from Bath Spa University. After many years working as a Creative Director in magazines, I took a little time out to deal with some health issues. I decided I didn't want to go back so started work on some illustrations just to keep my creativity flowing. One day I wondered if anyone else might like my illustrations too, so I put together a collection of 10 Ealing products and signed up for a stall at a local christmas fair. It was a nerve wracking but exhilarating experience, I was overwhelmed by the positive response and beautiful compliments about my work so that's where it all began! When we moved to Ealing nine years ago, I instantly fell in love with the area. I get a real buzz walking around West London discovering its many beautiful parks and buildings. The parks inspired me to design a range of vibrant 'limited edition' local park prints and I've used my distinctive illustrative style to create stylish prints of many of my favourite landmarks. Also popular, are my prints, postcards and tea towels featuring West London’s fabulous historic pubs. 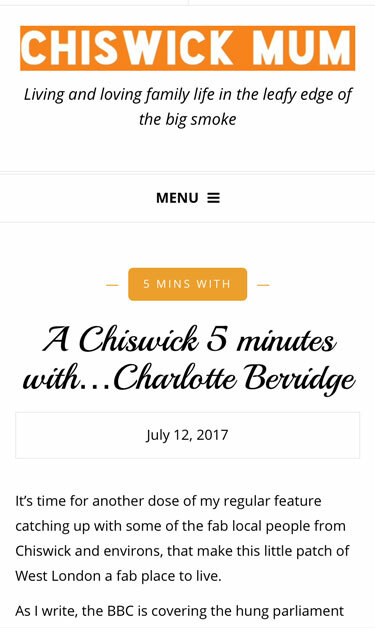 If you have any questions please don't hesitate to email me at info@charlotteberridge.com and I'll be happy to help you. Thank you for taking the time to visit my website... and please come again! You'll find me popping up at various local markets across West London.